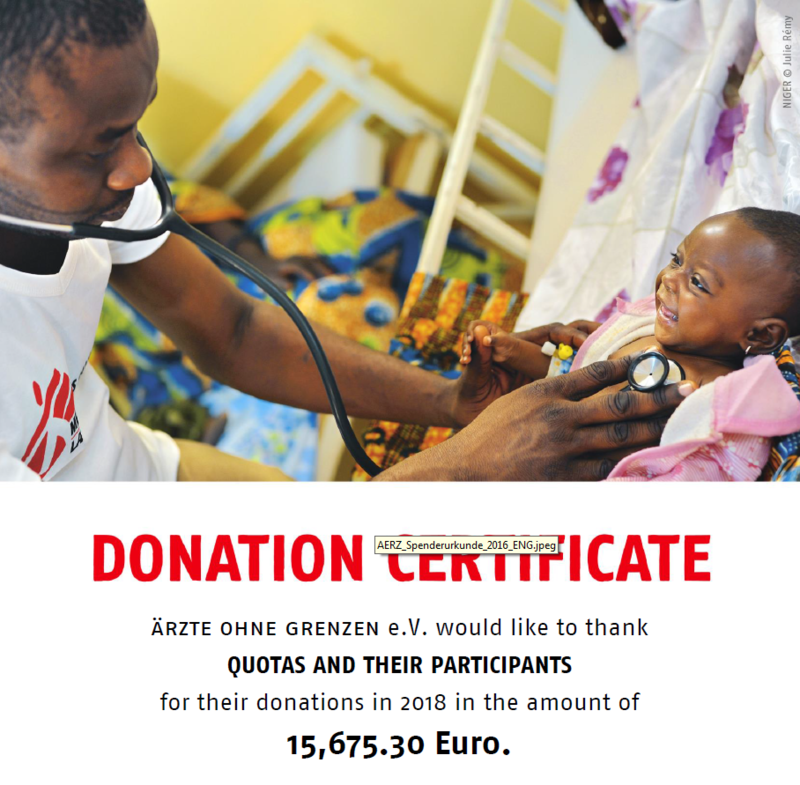 With the help of our participants as well as own donations, Quotas supports the work of DOCTORS WITHOUT BORDERS continuously and for many years now. In the year 2018, both our participants and Quotas jointly donated the amount of 15.675 EUR. We are thankful to all our participants for helping us reach this goal! This is a team effort!